In 1959 an American schoolgirl wrote to C. S. Lewis asking him for advice on the craft of writing. He sent her a list of eight rules, and I add my own editorial comments to each of them. Today, writers also need to turn off the TV, the iPod or the music streaming over the Internet. I know that some writers claim that background sounds enhances their creativity, but I don’t believe it for a minute, and apparently Lewis didn’t either. Writing is a solitary activity, where words are formed in a special space of the brain, and anything that competes for that space will result in a decrease in writing quality. Good writers are able to be alone with their thoughts and don’t need filler or distractions. If you’re interested in writing good books then you need to read good books. Feed your mind with quality material and you will be more likely to be able to reproduce it. It is very difficult to find good Christian writing today; top selling books like The Shack are inferior in literary quality, so writers end up being torn between producing something good or something that sells well. 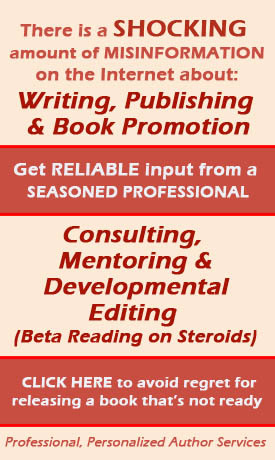 Ideally, you will want to write something of literary quality that will be popular, and a path to that goal is reading quality books. Style is important and it is best absorbed though books that have stood the test of time. The writings of C.S. Lewis are a good place to begin reading. This is Lewis’ most important rule in my view. There is a cadence to good writing and it is important that you discover it for yourself. This, of course, is another good reason for shutting off the radio, TV or music as you write. Experienced writers know that all sentences do not sound good in the beginning. It is best to get thoughts on paper first and then come back to the draft and tune each sentence. There is genius in these words. 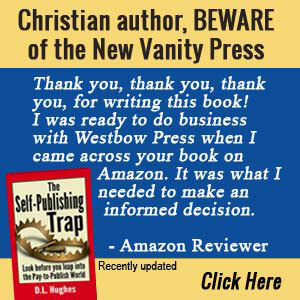 Too many Christian writers compose their literary work out of a sense of divine obligation, a quest for profit or a deadline–rather than pure godly passion. Obligation, profit or a deadline often debase passion, but of course it is nice when all three elements can be combined. Sacrifice them all if you must–except for your passion for those things which interest. In all my teaching and conference work, I emphasize clarity above all things to embryonic writers. There is a direct connection between clarity, elegance and quality in writing, so clarity is always the first goal. Everything is made out of something. That’s why it is so important for writers to keep a journal. It is easy to forget thoughts, story ideas, snippets of conversations, events and experiences, so a journal is essential. Most writers have writing fragments–false starts, incomplete manuscripts or unsuccessful submissions–and Lewis is reminding us to save all these things and to use them as resources for other writing projects. I have so many odds and ends of writing that I store them in large plastic bins from Wal-Mart. This article was written from a fragment I first put in my file in 1997. Lewis emphasizes the importance of the cadence of the words again here, and it is a point well taken. Of all his suggestions, however, this one is perhaps the most outdated. Computer keyboards are far quieter than the clickity-clack of old typewriters. I use many different methods to get my thoughts on paper, but when I want to do my best work I always revert to writing in longhand on yellow legal pads. I think C.S. Lewis probably smiles on those who connect the mind and the hand to the written word in such an elemental way. That’s the way he did it and he came up with some pretty good books. Make a hobby us learning new words and using them in your writing. The purpose is not to be circumlocutious, but to be able to communicate aptly. A wide vocabulary adds substance to your writing. Some writers use words with which they have only glancing familiarity. Be sure you completely understand the meaning of every word you use. A fat dictionary is a good thing for a writer to own, but for efficiency you may wish to type this into the Google search box– define: circumlocution — in just that format. You will get the definition for any word you input after the colon. Writing is a craft. You start as a novice before you become an apprentice and then develop into a master like C.S. Lewis. Since writing is a craft, not a gift, virtually anyone can acquire the skill and become a master over time. Remember, however, that the time must be invested in actually writing (not thinking about writing) and in reading the work of those who have mastered the craft. When Lewis says that a writer must thoroughly understand the meaning of each word he uses, I think that he means a different kind of understanding than one gets from Google definitions. Lewis was friends with several philologists and certainly he never used words in a way that contradicted their historical development. He complained in a poem that the English language was on its death-bed. I suggest that to follow this advice as intended, a writer needs not just a fat dictionary but an etymological dictionary. Im actually into a magazine production, browsing to get info. Thank god im blessed here. Loved the list. Just one question. Is “The Shack” suppose to be considered a good book? Number one is interesting. I realize C.S. Lewis was a literary genius, but I think that music can sometimes help a writer remain focused. Numerous writers, including Nobel Prize winners like Vladamir Nabokov and Gabriel Garcia Marquez, have spoken about their need for music while writing. Number three, on the other hand, is vital. You show a lot of promise in your writing. I want to encourage you to follow your vision. First time here, and loved this place! I will sure come back. The next class period would begin with a quiz – – a vocabulary quiz, using 25 of the words used in the two-page essay. The highest score ever achieved was 8 out of 25. My follow-up lesson for these new students? If you don’t know the words you’re reading, you’re not learning anything. Great list and your commentary is appreciated. Thanks for sharing Lewis’ thoughts (and yours). Very helpful. Being a pastor, almost everything I write I also plan to speak. I often will take the time to read what I have written out loud just to hear how it sounds. If it doesn’t make sense when I say it, then it proabably won’t make sense to a reader either. I suppose that is another good reason to be alone in a quiet place (that way when I talk to myself, I’m the only one who knows I’m nuts!). I appreciate this list, I need to learn to write more. Great list. Thanks so much for sharing. How cool to hear the actual advice of my FAVORITE writer!